“What Did You Expect From The Vaccines” was the first album from the indie rock band The Vaccines in 2011. The band have also won a number of awards since 2011 and released their second album “Come Of Age” in 2012. 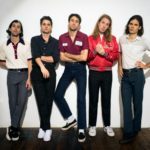 The Vaccines: Roundhouse, London – Live Review"
Each time The Vaccines finished belting out yet another finely crafted indie-rock anthem, frontman Angus Young bowed his head with his hands on his knees in apparent exhaustion. A few seconds later the opening notes of the next song started to chime and somehow Young would rejuvenate himself in time to enthusiastically lead the next rousing rendition from their hit factory. The Vaccines: Manchester Academy – Live Review"
Enlarged, energised, The Vaccines are back. 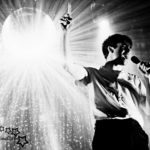 Louder Than War sent Katie Clare to Manchester Academy to see the band deliver as a five-piece. 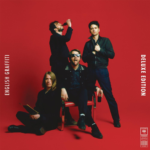 The Vaccines: English Graffiti – album review"
Katie Clare reviews The Vaccines eagerly and long awaited third album. 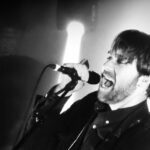 The Vaccines: Albert Hall, Manchester – live review"
Fans refused entry to Vaccines gig for not knowing Album titles!"